Franco-German culture channel Arte is to launch an online service with English subtitles from November 2015. The channel, which launched in May 1992, and broadcasts a French and German language version, offers a similar style of programming to BBC Four in the UK. It broadcasts 24/7 across French and German speaking parts of Europe on various TV platforms. 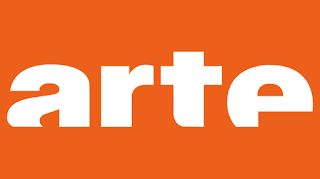 The English language service will be online only, but will enable viewers in EU and EFTA member countries to access a selection of documentaries and magazine programmes for free via Arte's website. Additionally, Spanish subtitles will also become available from next month. The popularity of subtitled European programmes in the UK has exploded in recent years, thanks to a number of imported shows on BBC Four and Sky Arts. Channel 4 has now also launched an online service specialising in foreign shows. Arte is a publicly funded channel. For example, German households contribute towards the running of Arte and other public service channels through a household levy. Just over half of the funding for the English and Spanish subtitled service has been secured from an EU grant, available to qualifying broadcasters wanting to subtitle their programmes in other languages.